Kali, a 12-year-old Goeldi's monkey, was stolen from the Palm Beach Zoo. 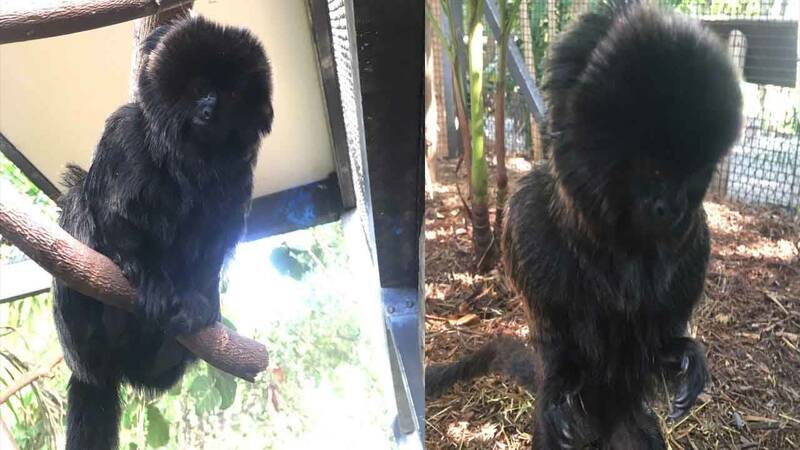 WEST PALM BEACH, Fla. - Authorities in Palm Beach County are searching for a monkey that was stolen from the Palm Beach Zoo early Monday. Zoo officials said someone gained access to the zoo around 1 a.m. and stole Kali, a 12-year-old female Goeldi's monkey, from a locked enclosure. A male Goeldi's monkey, Kali's mate, and a bird were in the same enclosure but they were not taken. "Goeldi's monkeys are very popular on the illegal pet trade. Since she is a female, as far a breeding is concerned, she is holding a pretty high value -- upwards of $10,000," said Naki Carter, director of marketing and communications for the zoo. Zoo officials are concerned because Kali takes medication daily and eats a special diet. "It is of urgency that we have her returned to her zoo family," Carter said. "Every minute is of the essence." Natives of the Amazon jungle, Goeldi's monkeys are known for their jumping ability. The animals can leap a horizontal distance of about 13 feet without losing height. This isn't the first time the zoo has lost a Goeldi's monkey. In 2009, three teenagers stole a monkey named Elsie. The teens also took a green-cheeked Amazon parrot and three squirrel monkeys. The animals were recovered in less than 24 hours, but several of them took months to recover from the ordeal. Carter said a tip from the public led to the animals' safe return in 2009. "We are holding onto hope that same thing can happen nearly 10 years later," she said. Anyone with information about Kali's whereabouts is asked to call Crime Stoppers of Palm Beach County at 800-458-TIPS. "You can all imagine just what it feels like if you’re victimized, if someone breaks into your home and takes a stereo or a TV, so imagine it’s one of our children that is missing," Carter said.